Updates to Katherine's profile since your last visit are highlighted in yellow. Mark retired from UDOT after 32 years and is now a school bus driver for South Summit School District and loves it. Mark passed away August 23, 2012. Craig, born 1976. He excelled at football, basketball and baseball at South Summit High School. He More…won the first 2A semifinal football game for SSHS (after being 1A) by kicking a PAT in overtime. He then attended Utah State for a year but partied too much and started working for UDOT. He is now divorced and has 2 kids. He lives in Oakley, Utah. Craig works for All West Communications in Kamas. Stephanie Clegg, born 1979 played volleyball, basketball and softball at SSHS but decided that wasn't going to get her anywhere after high school and went into leadership serving as Junior Class President among other offices. She married Jim and is a school teacher at South Summit High School teaching Art and photo. She is now the CTE Director for SSSD. She has 2 kids and lives in Oakley. He worked for a college friend's dad, Sam Granato. He tried to pick me up at a private club. I wouldn't go with him so when my roommates and I went back to our apartment he was there waiting for me. Avery, 2007, who is hearing impaired. I went to Southern Utah University for 3 years then came home and graduated from Weber State in 1972 in Sociology/Social Work. 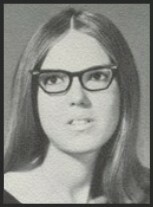 I married in 1973 in Salt Lake. We had our two children then moved to Francis in Summit County. My husband worked for UDOT and traveled all over the state. When my children started school I went to work for South Summit School District teaching Head Start and SPED preschool children. My husband joined the South Summit Volunteer Fire Dept. and was the fire chief for 18 years. We became active in the Utah State Firemen's Association. My husband is a past president and I have held other offices in the auxiliary. After going through breast cancer with mastectomy, chemo & radiation in 1998 I got to do everything all over again in 2016. My aunt is the second woman in history to become an admiral. I have traveled with her and my sisters to the Navy nurse corp reunions including to Washington DC for their 100 year anniversary. I also get together with my college sorority sisters about once a year. My best memories are working on the newspaper at CHS, attending all the sports, journalism clinics, and representing CHS for KSL. I watch grandkids, scrapbooking, working on the computer, golfing, bowling, watching the Chicago Cubs baseball team and spending summers at our place at Bear Lake. I was Freshman secretary, Sigma Pi sweetheart, Western Week Queen, finalist for Freshman of the Year, president of a sorority and I can't remember what all else I did at SUU. You can read it in "Who's Who Among Students in American Universities and Colleges" 1970-1971. What Is On Your "Bucket List"? I no longer have a bucket list since my husband passed away. After two bouts of cancer I just live from day to day. That was a lifetime ago. I know I did some stupid things in high school but I guess they were so embarrassing I put them totally out of my mind. Be sure to let those close to you know that you love them. You never know when it is your time or theirs to go. God is in control so give everything to him. Katherine Conder Fry has a birthday today. Katherine Conder Fry updated her profile. View. Katherine Conder Fry posted a message. New comment added. Happy Birthday Vickie!! Hope to see you at the 50th reunion next year! Katherine Conder Fry posted a message. I use my knuckles to figure out how many days are in the month all the time and people laugh at me. I didn't remember who showed that to me. Thanks Belva for reminding me! Katherine Conder Fry added a comment on her Profile. Katherine Conder Fry has left an In Memory comment for her Profile. I went to Annalee's memorial. Very sad situation. When I visited with her at our 41st class reunion I suspected Annalee wasn't happy with her life. I tried to reconnect with her but it just didn't happen. Those who were in our lives long ago stay in our hearts forever. 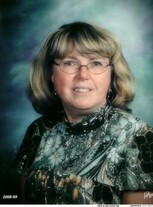 Karen I wish you would of stayed at Annalee's memorial so we could talk! Next time I come down would you like to get together? Happy Birthday Vickie!! Welcome to Medicare! I hope to get with you for lunch one of these days but it seems like ever time I go to the city I am with someone. Katherine Conder Fry added a photo to her profile gallery. Katherine Conder Fry changed her profile picture. Hi Jo! It has been a long time! My husband and I use to go to St George all the time golfing but he passed away in 2012. I do tag a long with my sister or friends when they go down to golf but I am usually the odd man out. I have a sorority sister that lives in Sun City. Is that where you are? Debbie and Ross Miller! Happy Birthday Linda! Look me up when you come this way! Happy you had a great 64th birthday!! Katherine Conder Fry joined via Class Connection Facebook app.